Here at Crowded Earth Kitchen, we’re big fans of vegetable snacks such as zucchini crisps, seasoned kale, and Brussels sprouts chips. But green beans? Well, why not? 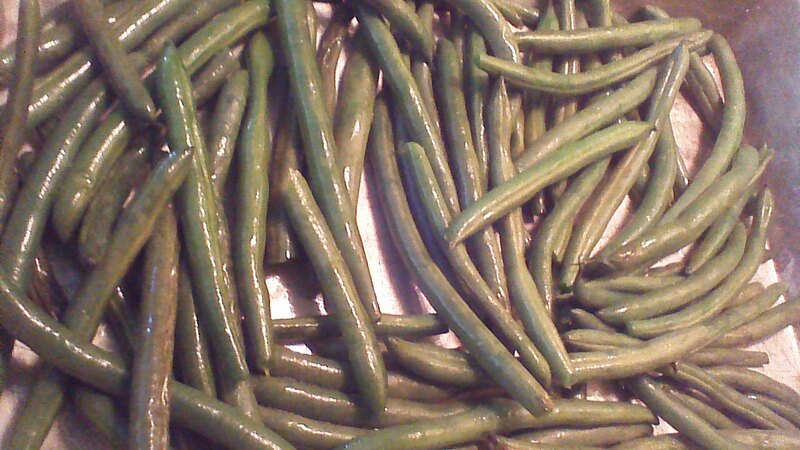 Green beans are abundant this time of year, so I trimmed a few pounds and experimented. First, I just dehydrated a few beans without any other preparation. 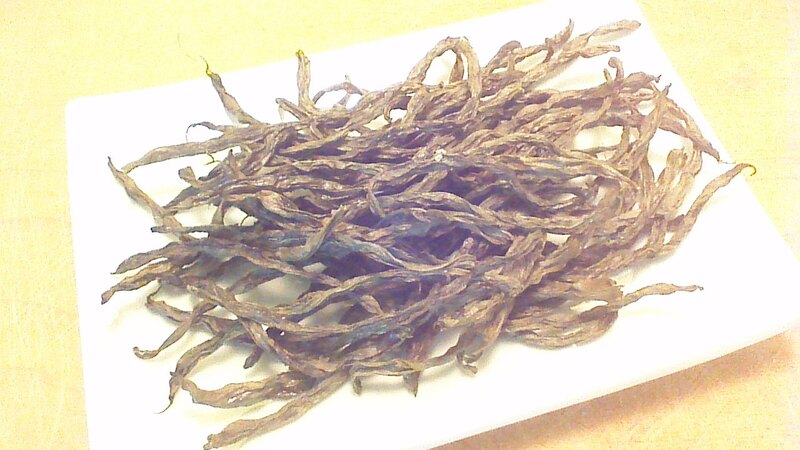 Second, I blanched a few beans in boiling water and salted them before dehydrating. Better, but not something I would make twice. My third attempt was spot on. I roasted the beans before placing them in the dehydrator, and the results were delicious! I now keep a little container of Salted Green Bean Crisps in my car, for guilt-free snacking as I drive past three ice cream stores (no joke) on my way home from the gym! Step 1) Wash and trim ends from green beans. Step 2) Coat green beans with 1 tablespoon of oil on a baking sheet with shallow sides. Roast beans in a preheated 375 degree oven for 30 minutes. 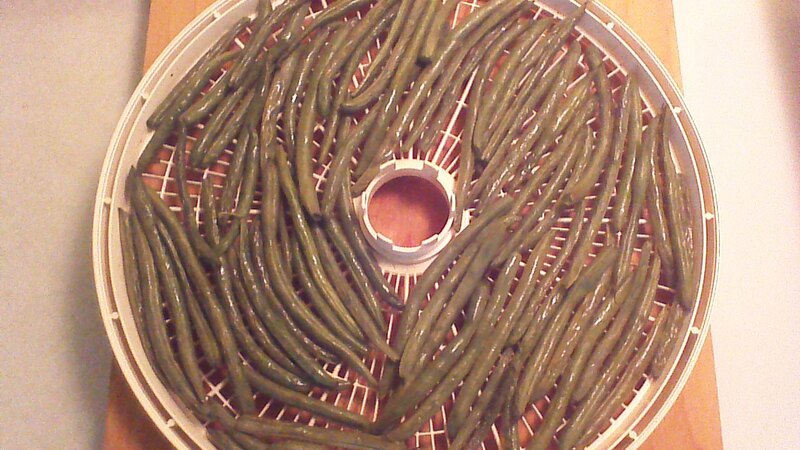 Step 3) Allow green beans to cool, then transfer to food dehydrator trays. Dehydrate for 12 hours, or until beans snap in half easily. Store beans in an airtight container. This entry was posted in Fruits and Veggies, Gluten Free, Vegan and tagged children, Cooking, Food, gluten-free, health, Paleo, recipe, Snacks, Vegan, Vegetables, wellness. Bookmark the permalink.